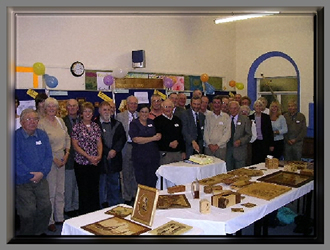 The Staffordshire Marquetry Group have also recently celebrated their 16th Anniversary. 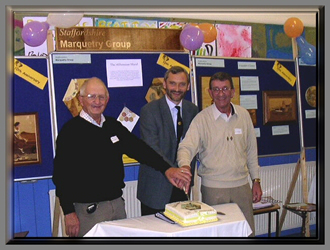 They are a very successful group who have come a long way in their marquetry triumphs in a very short time. You can read more about this successful group by visiting their web site. 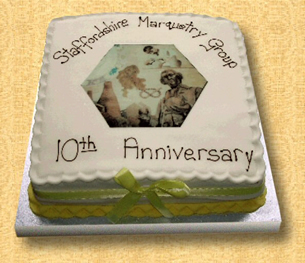 Just click the picture of their cake above to take you into their superb web site. clicking on their 10th Anniversary cake! The Staffordshire Group were very successful at the 2018 National Exhibition.